There are several factors you should consider when working out which yacht or cruise boat you want to go on. Whichever boat you choose, the wildlife on the islands will be the same! So whilst the itinerary and the standard of the guides will influence your wildlife viewing, much of the choice is about your on-board experience. Picking the boat is a bit like picking a hotel – do you want to stay in superb luxury accommodation or do you want to stay in something mid-range? The service will vary and the standard of decor, fittings, wine list etc will be different – just like in a hotel. 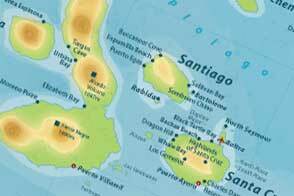 Here you will find our handy quick comparison of all the different vessels offering cruises in the Galapagos Islands. Now you can check which boats offer the best price and the best guide to passenger ratios. Every vessel has a set itinerary that has to be registered and approved by the park authorities. This is how they are able to control tourism and make sure that popular sites on the islands aren’t over visited and that the boats don’t all turn up at the same place at the same time. The itinerary is usually based around a two week repeat cycle but within that it is commonly split down to two one week itineraries i.e. alternating between week one and week two of the two week cycle. 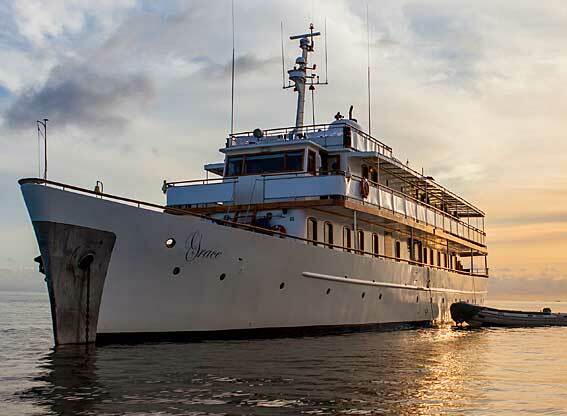 But several Galapagos yachts also market their itineraries in smaller sections so whilst the 8 day (7 night) cruise is still the most popular and could be considered to be the standard length, there is also the option to do 4 day, 5 day, 6 day and 10 day itineraries if you choose the vessel offering the relevant option. 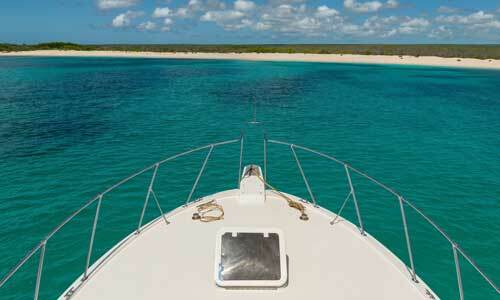 All the Galapagos cruise boats and yachts have naturalist guides on board. In fact they cannot operate without one as they are not allowed to take people onto the island visitor sites without a qualified and licensed naturalist guide. But not all guides have the same experience or are of the same calibre. There is a system of three different guiding levels, plus diving guides, with level 1 being the basic level and level 111 being the most advanced level in terms of number of years working as a guide and the number of languages spoken. However, this system has largely fallen apart as they have not held any exams for level 11 and 111 for over a decade! So there can be brilliant level 1 guides who may significantly out perform a level 111 guide who just happens to have been at it for a long time. All the guides work on a freelance basis, though, so the best guides are in highest demand and command the best paid jobs. Ultimately it is one of those situations where you get what you pay for. The higher priced vessels and those with the best reputations to uphold tend to have a pool of guides they work with that are the very best. The budget vessels, on the other hand, will have the guides with least demand through lack of experience or calibre. The other thing that will make a difference to the guiding will be the ratio of guides to visitors. Each guide can take a group of up to 16 people onto a visitor site, so you are never with a huge group and this is easily manageable by a good guide. And when a vessel has more than 16 passengers it has to have more than one guide and split the passengers into groups. Some vessels have a capacity of only a few more than 16 so they may be a good bet for guiding ratio, but in practice most only put on the extra guide if they are actually carrying more than 16 people so you may still end up with 16:1. The M/Y Letty has capacity for up to 20 people on board but they actually guarantee they will have 2 guides on board. So there is a maximum ratio of 10:1 and potentially better if the boat isn’t full. Do you prefer a large cruise ship or a small yacht? This is a matter of personal choice. The yachts tend to carry around 16 to 20 people and they have a very personal service and lovely atmosphere on board. They can visit a wide range of landing sites with no restrictions brought about by vessel size. The bigger cruise boats taking up to about 50 passengers have more space on board and potentially more facilities. But they are still small enough to have a fairly personal service and friendly atmosphere. They tend to be more powerful vessels and can cover larger distances in a given time, making them very versatile in terms of the destinations they can visit in a week’s itinerary. There are also some large vessels taking around 100 passengers. These are relatively small for cruise ships but significantly larger than a yacht! The atmosphere is somewhat different from a yacht and it’s more of a traditional cruise. These large vessels have the advantage of more space and greater stability. There have more facilities too, with a choice of restaurants and bars, fitness, beauty and massage centres, and even a medical centre as you might expect on a small cruise ship. The sailing boats look the prettiest but the nature of boat design means that these yachts tend to have smaller cabins and rock a bit more so are not good if you are at all concerned about motion sickness. Sails on some are really just for show as they have to complete the set itinerary in the given time regardless of the wind conditions. But the Mary Anne is a good example of a sailing yacht that pays particular attention to the sailing and is probably the best sailing experience. The single hulled motor yachts have a bit more space that the sailing yachts and cabins are usually wide enough for full width beds and side by side beds rather than bunk beds. Some of these vessels have stabilisers which make them a very smooth ride. At the other end of the scale the catamarans have the widest most stable hulls, so they have bigger cabins, larger communal areas such as salons and decks, and they rock and yaw less. Occasionally we have very good deals with a particular yacht. These may be special offers or a regular good deal that we have negotiated. For example we are able to offer the Beluga at an extremely competitive price. On this yacht at our price you are effectively getting a better yacht than you are paying for. When all is said and done if you have a specific date range in mind for your trip this will limit which yachts actually have availability at that period, unless you are booking a long time in advance. Some boats will fill up a year in advance, especially over popular periods such as Christmas and New Year. 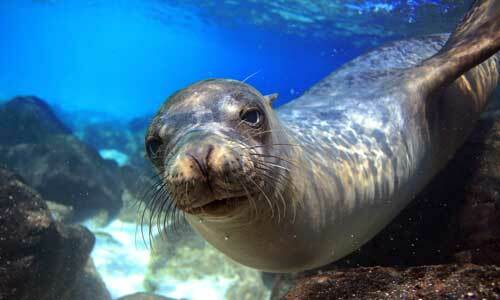 Most people that go to the Galapagos have a keen interest in wildlife and nature – that’s why you go! So going on a yacht that shares your respect for the environment will hopefully be one of the factors you will want to consider when choosing your Galapagos cruise. 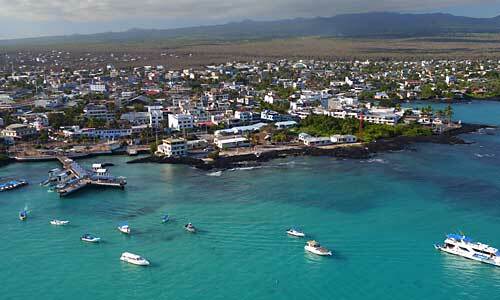 Back in 2001 Rainforest Alliance launched a certification program for tourist yachts in the Galapagos. This was after several years of work establishing a model of environmental management that would work for the environmental and social demands of the tourist operators in the Galapagos Islands. The standards they came up with sought to transform the concept of sustainability into something real, practical and necessary, in the context of competitiveness, with the aim to improve the way tourism relates to its environment. 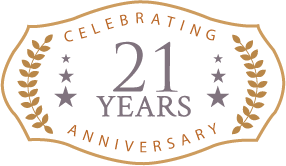 The resulting environmental certification program is called Smart Voyager and I’m pleased to say that many of the yachts on this website have this certification. Some, like the Letty are run by the very first company to get certification and have always striven to be the best environmentalists in the business. Look out for the Smart Voyager certification that we have flagged up against each of the yachts that have it.